Progressive musicians usually face a difficult choice if they want their work to ever be noticed: make music extremely complicated, extremely spacey, or extremely weird. For In My Absence, South Carolina-based producer/engineer/musician Mark Miller chose the second category (and a little of the third). Having assembled quite the resume behind the console, Miller turns his talents outwards for 50 minutes of prog-rock dabbling, shuffling between 90s prog-metal and 70s space-jams, but like a lot of works by console jockeys venturing out on their own, In My Absence comes off as less of an album than of lots of neat sounds without songs to call home. Take the winding, whimsical synth leads of “Chasing Moraz” layering their spectacular, fluttering lines over Miller’s pads. The result sounds like a great introduction or interlude, but the track never bothers to lead to anything beyond its own dalliances. Ditto the fittingly named “Dream Cinema,” whose overused heavy blues riff and drawn-out jams capture most of the criticisms leveled at its namesake (prog-metal heroes Dream Theater) but without much of that outfit’s chops or sense of adventure to make up for it. Where Miller shines are in the disc’s subtler, more texture-intensive tracks that play to the strengths of his knob-twiddling and penchant for the studio as an instrument. “TurboHead” kicks open with a frantic pair of dueling piano riffs and brings in an insanely catchy bass line to drive the point home, while the epic seven minutes of “The H Suite” bring on the narcotic, dulled intensity of that other capital H with an excellent vocal turn. Most notably, closer “Shades of Katy” uses a droning synth tone as the foundation for some heavily-echoed swaths of melody, all over a staccato string arrangement and a heavy bass section that comes seemingly from out of nowhere just when the rest of the track needs the extra push over the top. It’s a subtle trick, but it shows exactly where Miller’s true gifts lie. 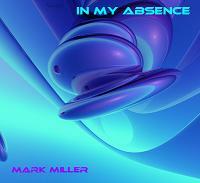 With the wealth of tones and excellent production of In My Absence, Miller shows himself more than capable as a producer, performer and programmer. But by almost entirely ignoring the songwriting and nuances that usually give heft to his contemporaries’ work, In My Absence becomes less like progressive rock and more like progressive soundscapes, highly likely to leave the listener asking what just happened, but never really forcing them to give the answer much thought.